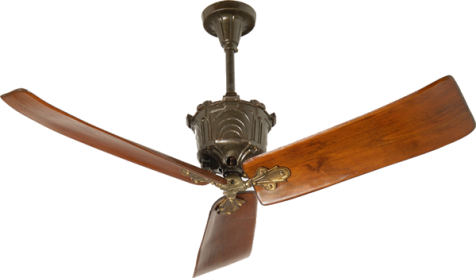 Home » Museum pieces – The finest antique ceiling fans » English D.C. » English D.C. 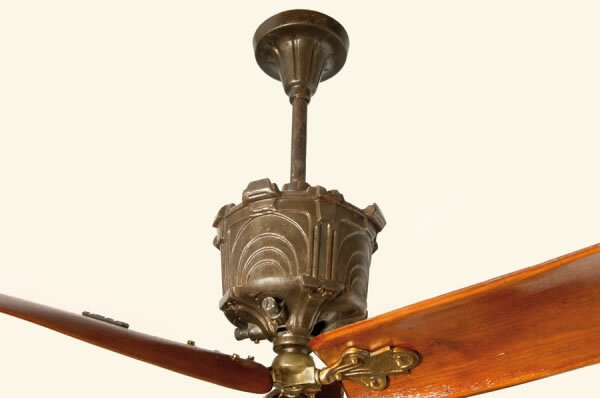 This Art-Nouveau fan belongs to the very limited production of a small and short-lived electromechanical English firm. 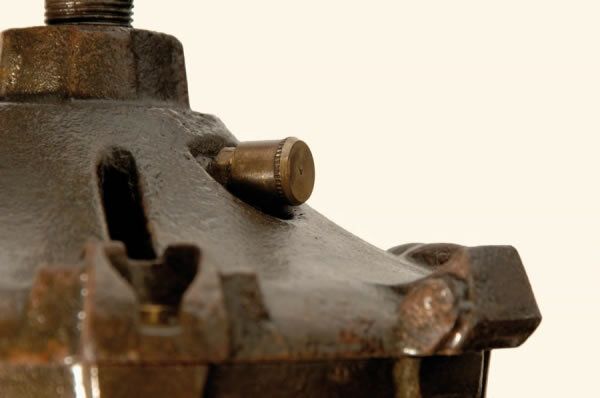 The few pieces still around are direct-current ones; the disappearance of the firm might in fact be ascribed to its inability to reconvert to an alternating-current production . 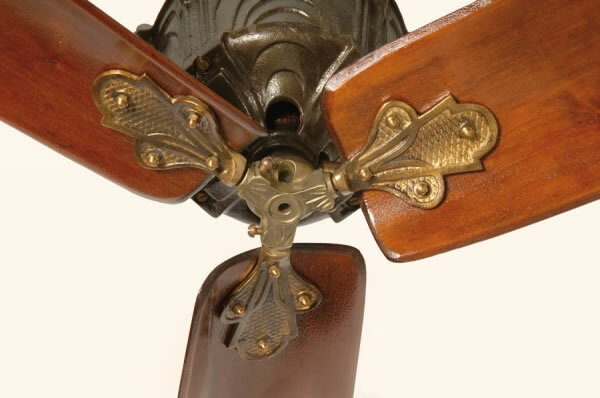 Our Fantique collection includes two extremely rare pieces, found in a London’s flee market.